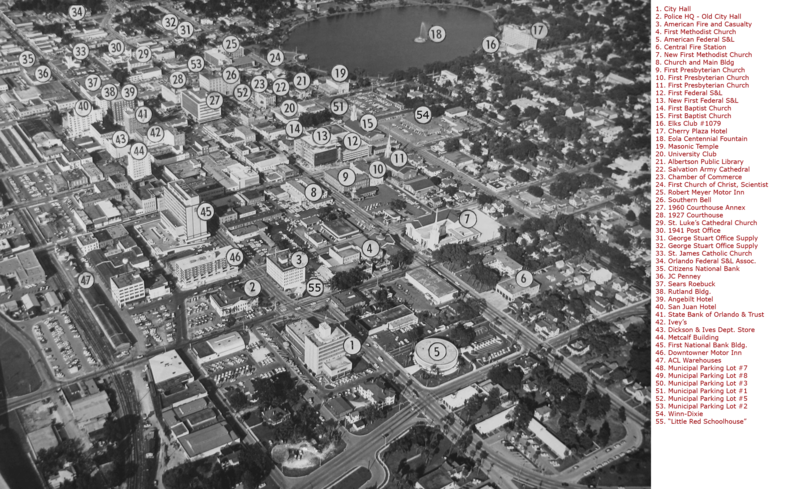 This aerial photo was taken in the 1960s and includes a legend which identifies many of the significant buildings in downtown at the time. CLICK on the map to zoom in at different levels. This map below is a current overhead Google map. As such, you may zoom in and out and ‘pull’ the map around to see the different views. My, how downtown has changed in the past 50 years!